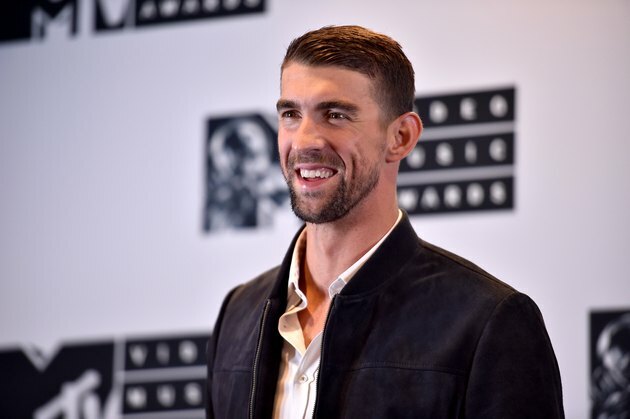 He’s a world-renowned swimmer, a father of two, and now, Michael Phelps is using his famous name to spread awareness about mental health and the importance of water conservation. Spending the majority of his life in a pool, the 33-year-old athlete has been partnering with Colgate on their Save Water #EveryDropCounts campaign, a cause he feels everyone should be a part of, and for good reason. In the interview, Phelps also opened up about his ongoing struggles with depression, and shared tips on how he manages his mental health while raising two boys under the age of 2 with wife, Nicole Johnson. Earlier this year, Phelps opened up for the very first time about his mental health in a shocking interview with Sports Illustrated. In the piece, the swimmer revealed that he contemplated committing suicide after the 2012 games in London. “I didn't want to be in the sport anymore," he told the magazine. "I didn't want to be alive." But since that devastating moment, Phelps has been increasingly aware of his mental state, making sure to be as open about it as possible. “I don’t know why I chose to open up when I did, but for whatever reason, I felt like that was the appropriate time to unload and say whatever I wanted to say,” he continues to LIVESTRONG.COM. Being in the spotlight has it’s fair share of drawbacks, including the fact that everyone has an opinion on social media. But Phelps realizes that it’s not just celebrities who deal with trolls and negativity on apps like Instagram.